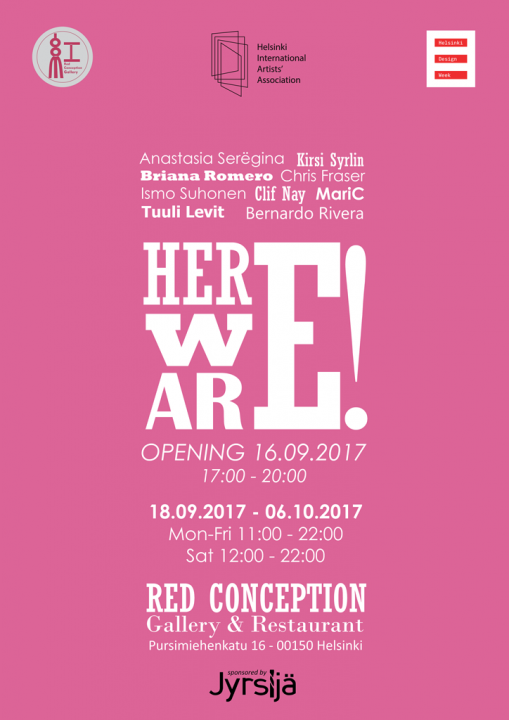 Happy, proud and honored to take part to the Here We Are! – Exhibition at Helsinki design week 2017 together with other 8 amazing artists from the Helsinki International Artists Association (where I´m a board member with the role of Deputy Chairperson). Come to meet us and enjoy the show!